Never again let cries of “Beer Me!” ring out in vain. On-Time Appliance Repair provides professional in-home Beer Cooler Repair Dallas and Plano Texas And the surrounding area. We provide same-day or next day repair service. In addition, we always provide a written estimate, which needs to be authorized and approved by you before we perform any work. 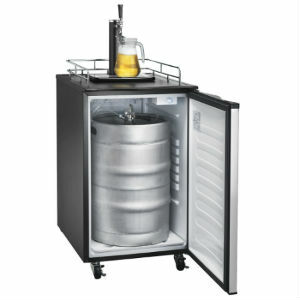 Our experienced and licensed technicians are professionally trained to repair most brands and models of Beer Coolers . All of our repairs at On-Time Appliance comes with a one year parts and labor warranty (some restrictions may apply). Despite the price of gas, our Beer Cooler repair Dallas and Plano Texas service call is always free with repair. and we don’t charge extra for repairs done on the weekends. If you live in one of Dallas’s surrounding cities. Call us Today!